We've always been eager to hear your feedback on what exactly you'd like to see added to Notejoy. Today we are excited to make it even easier for you to share your feature requests as well as vote on other user suggestions. 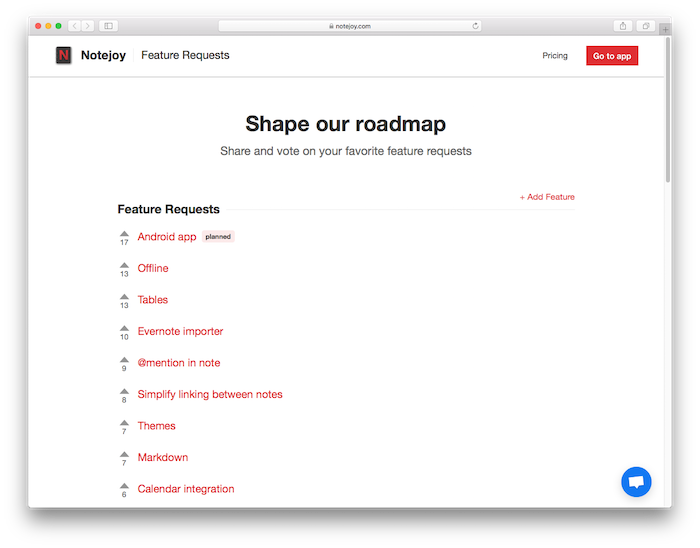 So head over to the Feature Requests page today and help shape Notejoy's roadmap!